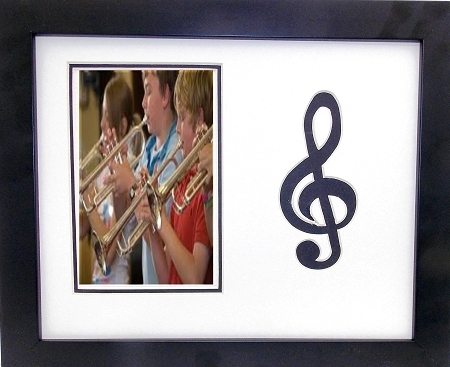 Wall mount music photo frame includes a carved silhouette of a black treble clef with white top mat. Black wood frame has a flat face and easily changes from the back. Overall size of frame is 9-1/2 x 11-1/2 holding a 4x6 photo includes photo mount board and glass.